Skewered fried vegetables, subtly seasoned with a peppery kick and perfect for eating on-the-go make Marutama Suisan Processing a delicious draw for hungry market-goers. 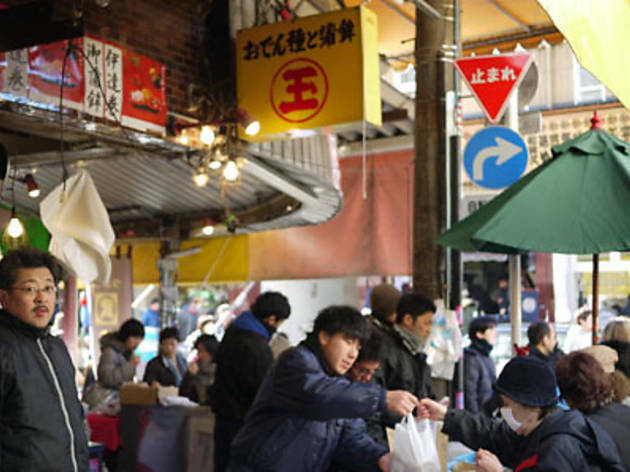 If you venture inside, you can also pick up fish-paste-stuffed oden items, made in the interior market, as a take-home treat for friends or family (¥500). 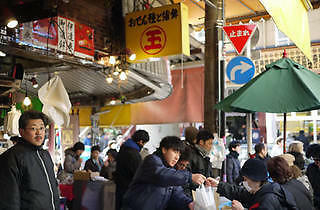 Find it on the left hand side, right near the entrance to the outer market from Ichibabashi.